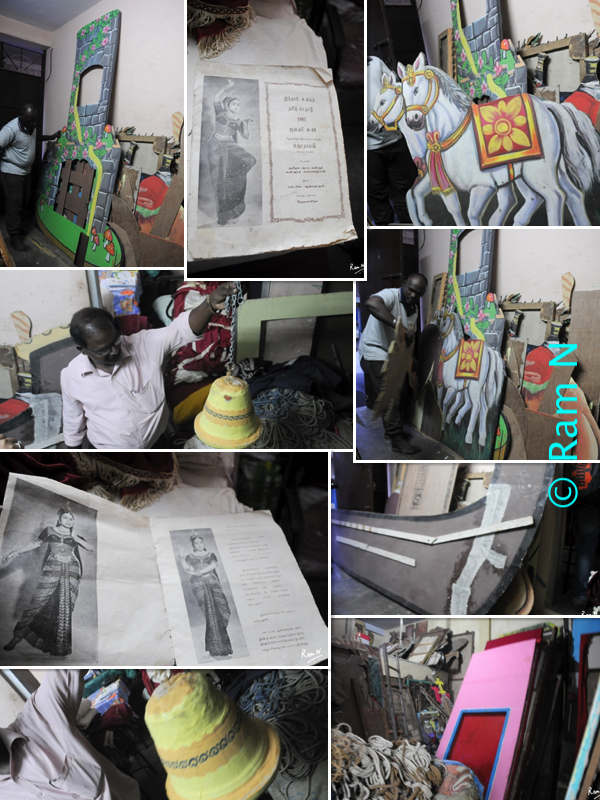 The Shop now run by the son, who’s already 55-60 years old, has been in the stage decoration for Plays, Theatre, Marriages, Performances and anything that needs decoration. Incidentally they did the stage for the current Chief Minister’s performance at 5th World Tamil Conference at Madurai in 1981. (the invite also is part of the Collage).